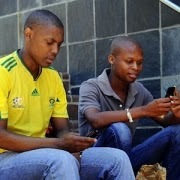 South Africa: Will social media campaigns manage to cure young-voter apathy? Will social media campaigns manage to cure young-voter apathy? The run-up to the 2014 general elections has so far seen all the expected theatrics. Manifestos have been launched, new coalitions made and between all the drama, South Africans are trying to decide which party deserves their cross on the ballot sheet. One group of South Africans seems to be particularly uncertain over who to vote for; or whether to vote at all. These are South Africa’s young people, the so-called born-frees and specifically those first-time voters who have just turned 18 or 19. In order to reach this seemingly elusive group of voters, political parties as well as the Independent Electoral Commission (IEC) have launched targeted social media campaigns. With the final round of voter registration set to take place in February, one question becomes critical: have these parties and the IEC done enough to excite this generation of young voters? Have they managed, simply by taking to platforms such as Facebook, Twitter and YouTube, to speak to the youth in a way that makes them sit up, listen and care enough to register and vote? Over two million South Africans registered to vote in the first voter registration weekend held in November 2013. Just over a million of these were new voters registering for the first time and, encouragingly, 80% of new registrations came from young people boosting registration levels among those aged 20 – 29. Indeed, with only a week to go until the final voter registration weekend and a few months to go until the 2014 elections, Twitter and Facebook are abuzz with political campaigning. The Democratic Alliance (DA) launched a Twitter campaign called #MyFirstTime along with a YouTube video that features young South Africans recalling the first time they voted. On Facebook, the Economic Freedom Fighters (EFF) continue to attract fans; going from 56 396 ‘likes’ on 13 November last year to more than 64 000 now, just more than a month later. The IEC has also been paying close attention to this age group. Following the November 2013 registration weekend, the Commission expressed satisfaction with the number of young, first-time registrations, particularly among those aged 20 to 29. It was concerned, however, over the low number of 18 to 19 year olds who had registered to vote for the first time. Only 434 370 people were in this age category, making up 22,6% of the total number of new registrations. In response, the IEC has launched its IXSA (I Vote SA) campaign, in which other young people and celebrities explain the importance of voting. It is currently airing on radio and television stations and is available on YouTube. Clearly, political parties are acknowledging the value of using social media platforms to gain votes. But just how effective are these campaigns, and will they manage to truly excite young, first-time voters? As part of its research study to try and understand the factors that influence the voting behaviour of young South Africans, the Institute for Security Studies’ (ISS) Governance, Crime and Justice division launched the Youth Vote South Africa (YVSA) Facebook page on 1 December last year. Targeting first-time voters between the ages of 18 and 24 years old, the primary purpose of the Facebook page is to initiate discussions and encourage debate about voting behaviour and how democratic participation in South African is perceived. While the page is still in its early stages, it already reflects a diverse range of views. The page, however, also illustrates a youth that is disillusioned and fed-up; a youth who have chosen to opt out of voting as a result of not seeing any changes in their environment. The number of possible first-time voters under 24 years of age constitutes approximately seven million people, or 22% of the estimated 31 million potential voters. This means that understanding how they feel about voting and the extent to which they believe they have power to influence the direction of the country is important. In April this year South Africa celebrates 20 years of freedom and democracy. It is a year in which young people will be called on to acknowledge the changes that have taken place since 1994, as well as take part in democratic processes such as the elections. South Africa’s young people cannot afford to be apathetic. They are often confronted with challenges such as a dysfunctional public education system, criminality, substance abuse, early pregnancies and diseases such as HIV/AIDS. A vast number of young people are also unemployed; according to the 2011 census, an estimated 1,32 million South Africans between the ages of 20 and 24 years don’t have jobs, with a further 417 000 having given up on seeking employment. These challenges often influence not only their voting behaviour, but also their likelihood of participating in the elections. Young people need to acknowledge that the challenges they face should be the reasons that they should register to vote. To ensure that young people fully appreciate the importance of democratic participation, they need to be engaged with in a way that is meaningful. While there is no shortage of campaigns, the question remains as to whether these will be effective.